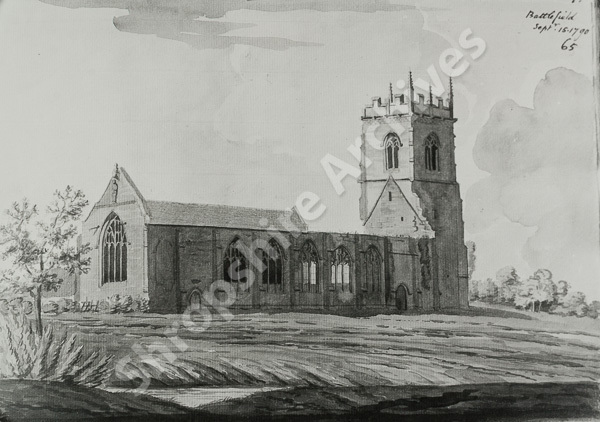 Description: Photograph of a watercolour by The Rev Edward Williams, who was perpetual curate of Battlefield.. 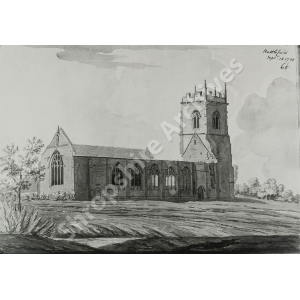 The ruinous appearance is misleading since, at this time, a clssicised church had been built within the chancel, for parochial use. The roof line can be clearly seen. For original, see 6001/372/2/65.